Emergency preparedness, like flossing, is something that all event planners know they need but always seems to be an afterthought. The consequences of not planning for an emergency can be steep if something goes wrong. “Something terrible happened” is not how you want people to remember your event. This article will highlight considerations and practical tips for event planners about disaster preparedness. Of course you can’t plan for everything. But knowing you’ve prepared a response plan to common scenarios provides a safer event for your attendees and gives the event planner peace of mind. To research this article we spoke with Dave Leonard, CEO of Med-On-Site, an emergency preparedness service provider. 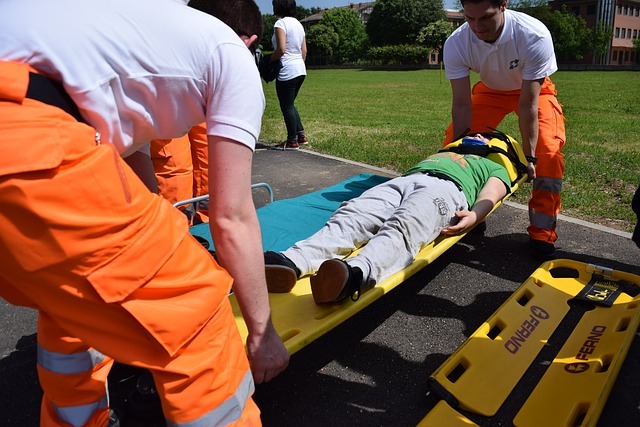 Med-On-Site has provided disaster preparedness and medical resource services to events for more than 7 years. A key learning from the discussion was that emergency preparedness doesn’t have to be extreme such as loss of life. You definitely want to plan for the obvious medical emergency and emergency crowd evacuation. However, its important not to overlook a plan to deal with a lost child or consider proactively adding a security presence to deter problems in the first place. The most important first step to take towards emergency preparedness for your event is to determine what your goals are in the event of an emergency. Is discretion the most important element? Do you want the event to continue? How will you handle overcrowding at an event? Do you want the event to be perceived as an integral part of the community? Or will the event be perceived as a drain on local emergency services? And how do you control the narrative if something bad happens? The last thing you want is to have bad news spiral out of control on social media. Do you have a plan to communicate messages that inform and confirm that the situation is under control? Enlisting an outside service can help identify what your goal is and how best to prepare for common scenarios. They can help group types of disasters by severity of risks and provide appropriate response plans. Seasoned event planners will benefit from the advice of emergency preparedness professionals too. Let the experts do their thing allowing the event planner to do what they do best….stress about the other 99% of the event. When to start Emergency Preparedness Planning? The very beginning of planning an event is the best time to initiate discussion with emergency professionals around this topic. Early planning could impact critical layout decisions that work better for emergency crowd control. Mapping out entrances and exits enables a quick evacuation if needed? The vast majority of planners involve emergency services one week before the event which may be too late to make any layout changes. Another consideration is choosing to have on-site medical staff which can significantly reduce the response time for emergency care compared to community ambulance services which may take some time to arrive based on the event location. Enlisting the help of other volunteers and staff at the event can multiply your emergency preparedness staff thereby ensuring a more responsive, safer event. Training of staff at a pre-event briefing will help them know how to determine level of risk, who should know about it and how to communicate it. Response time will be faster, more effective and will empower your event staff to respond correctly. Never before has there been so much emphasis on emergency preparedness at events. Additional resources for emergency preparedness planning are shown below. They can serve as examples and are by no means exhaustive but can help the event planner with ideas and resources to make the next event safe and prepared for any emergency.